Whitfield J. Bell (au). When Benjamin Franklin adopted John Bartram's 1739 idea of bringing together the "virtuosi" of the colonies to promote inquiries into "natural secrets, arts & syances," the result was, in 1743, the founding of the American Philosophical Society. 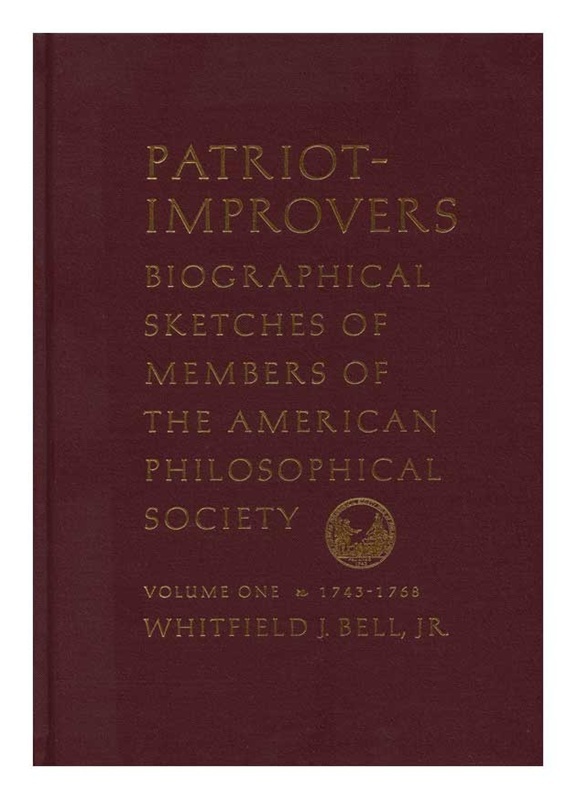 Bell records the early years of the Society through sketches of its first members, those elected between 1743 & 1769. 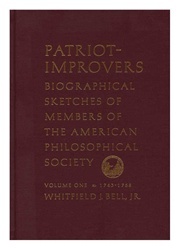 This volume includes biographies of some of the Society's best known members such as Franklin, David Rittenhouse, John Bartram, Benjamin Rush, John Dickinson, Thomas Hopkinson & many lesser known merchants, artisans, farmers, physicians, lawyers & clergymen with familiar surnames such as Biddle, Colden, & Morris. Illustrations.